Comments for HELP...Is this twins?! Our son's u/s looked the same way. It was the yolk sack. I am wondering if one's not the yolk sac...hmmm.. I'd give your doctor a call in the morning. 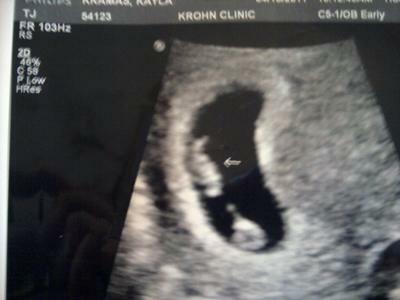 I'm 6.5 weeks pregnant with twins too...and this is what the ultra sound looks like! It looks like mine when I had my first ultrasound. I have identical twin boys!! Congratulations on your pregancy no matter how many you have in there.